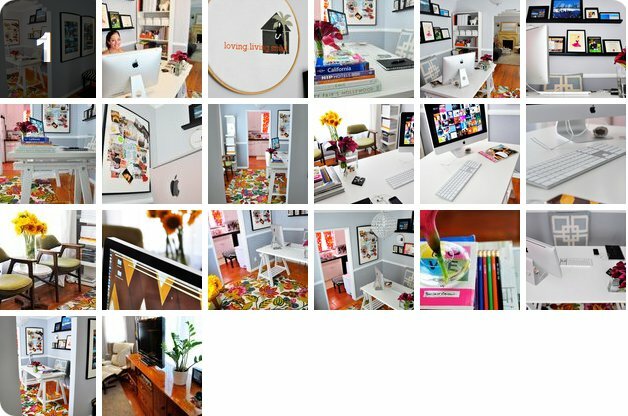 I want to share my home office tour that went up on Apartment Therapy's savvy tech site, Unplggd, yesterday. Managing editor and talented photographer, Gregory, shot all the photos of my space and he really made my 120 square foot office look incredible. 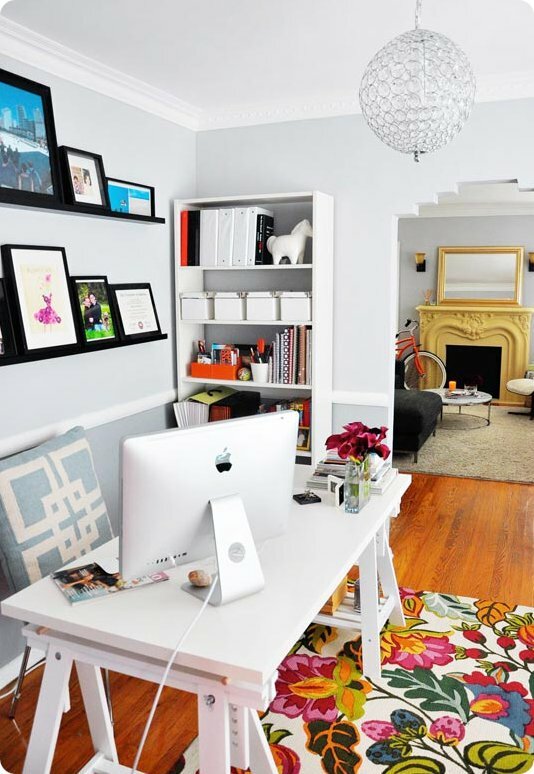 Check out the entire tour right here and read some of my fave small space tips - fun! Oh wowzers, that place is amazing! You really work that small space into a stylish scene!! i love your space! small can be grand! What a functional and beautiful space! Saw you on Nesting Newbies and missed the picnic with you and the other bloggers. Hope to meet up next time! Your blog is wonderful... keep up the great work! Beautiful space! I'm so happy that I found your blog. Um. This is insane. Your office/entire house is a dream world. Major kudos...! Loooove the office! Random question though...is that background on your Mac something you designed? I love the look of it. What is it? amy, the screen saver on my computer is actually one of the options that come with it. Not sure of the name of it but it's the one where it rotates the album covers in my itunes collection. It's fun! I love the rug! Can you please tell me its source?